The AMERICAN Series 3500 Ductile Iron Resilient Wedge Gate Valve is rated for 350 psig. It has been designed for use in drinking water, sewage and fire protection systems, as well as other applications that might require higher pressures than those offered in the traditional 250 psig rated AMERICAN Series 2500 gate valve. 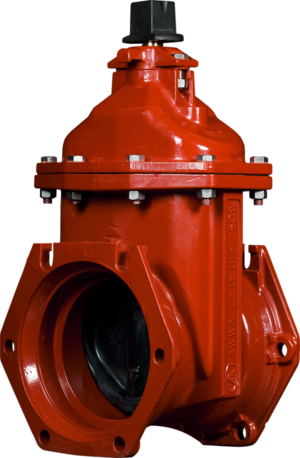 The Series 3500 Resilient Wedge Gate Valve is available in configurations that are UL Listed and FM Approved at 350 psig. The valve uses the same parts as those used in the Series 2500 Resilient Wedge Gate Valve, so the specifier can feel confident in knowing the valve is the same dependable design the industry has come to know and trust. Fully complies with ANSI/AWWA C515 and is rated at 350 psig.